MT. 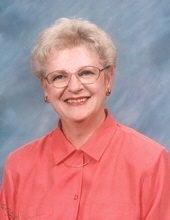 PULASKI - Phyllis Meister, 86, of Mt. Pulaski, IL, passed away at 2:43 p.m. on Friday, February 8, 2019, at Country Lane Memory Care, Assisted Living in Riverton. "Email Address" would like to share the life celebration of Phyllis Meister. Click on the "link" to go to share a favorite memory or leave a condolence message for the family.